This project was a joint effort between Digital Renaissance & abbaroo.com. D.R. did the graphical layout, and abbaroo.com did the programming, database design, report generation for this project that gathers data on students to report their basic skills for kindergarten. 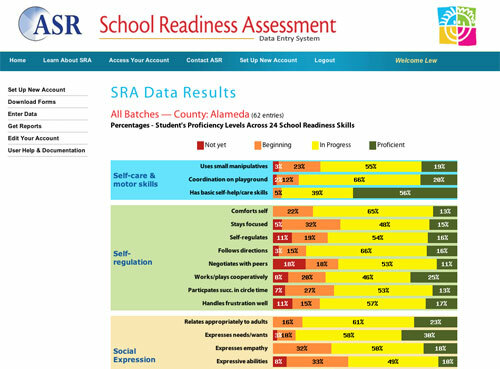 Data can be reported for a class, school, district, or county. Graphs like this are generated to give a quick representation of the data.